The summer time in Lofer is a particularly beautiful time. Lofer has a lot to offer in the warm summer season! Our house Bartlmä is the ideal starting point for hiking tours, biking tours and various excursions. Our apartments are very centrally located and offer the perfect start to your summer holidays! 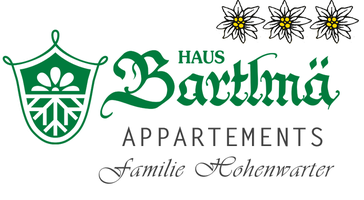 When you spend your summer holiday in our guesthouse Bartlmä you are centrally situated in the Almenwelt Lofer. 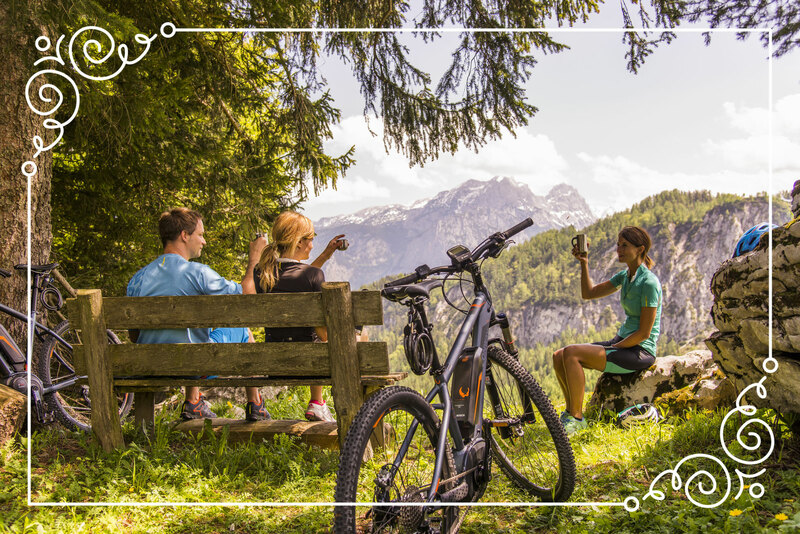 Your hiking tours start right in front of your door! 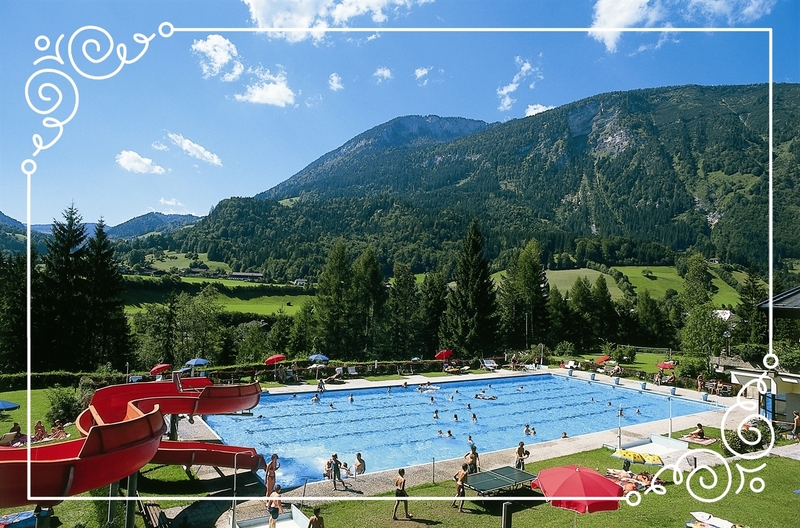 In your summer holiday you receive the Salzburger Saalachtal Card, which offers you several advantages during your summer holiday in Lofer. 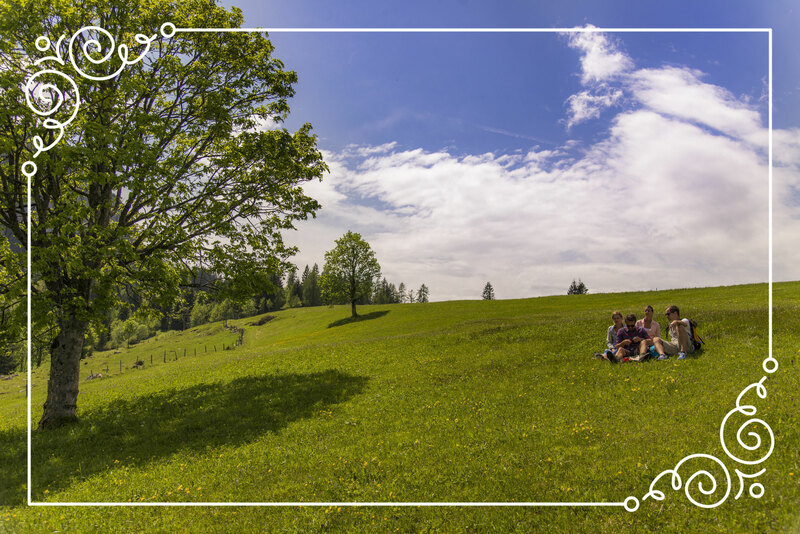 For instance, you can use the cable car of the Almenwelt Lofer for free! If you are planning an active biking holiday, Lofer in the Salzburgerland is the right place for you. 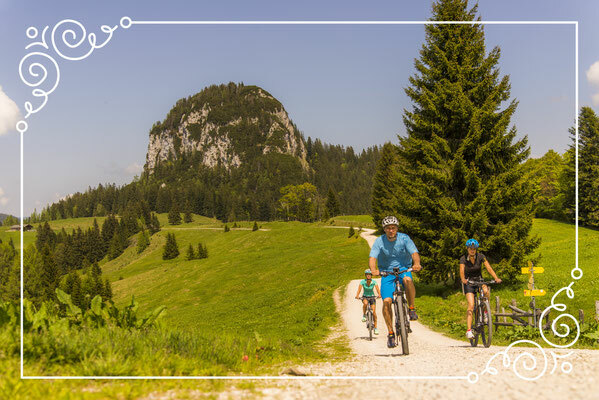 The beautiful area around the Almenwelt Lofer offers a diversity of mountainbike trails. In the valley of Lofer and its neighboring villages there are 480 km (about 298 miles) of bike paths. This very old sport has experienced a revival and the number of rock-climbers has rocketed high in the last few years. 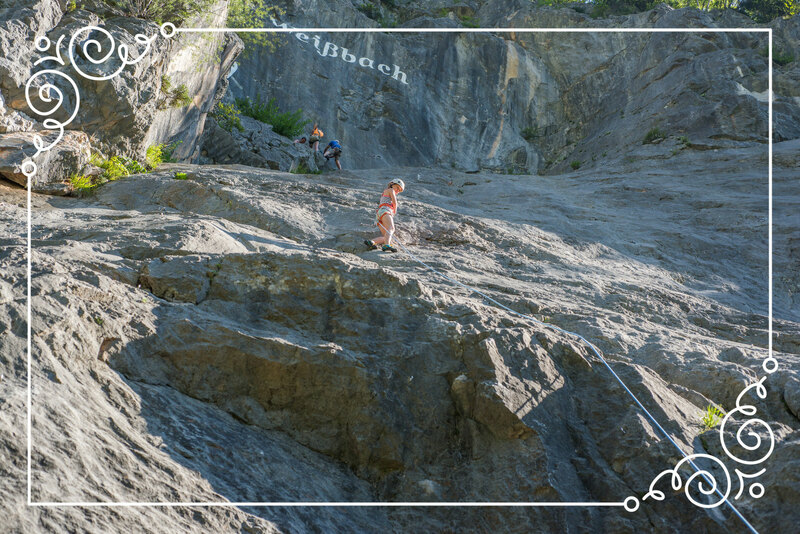 Lofer and the region around it offers various climbing routes which are suited for beginners and experienced rock-climbers. 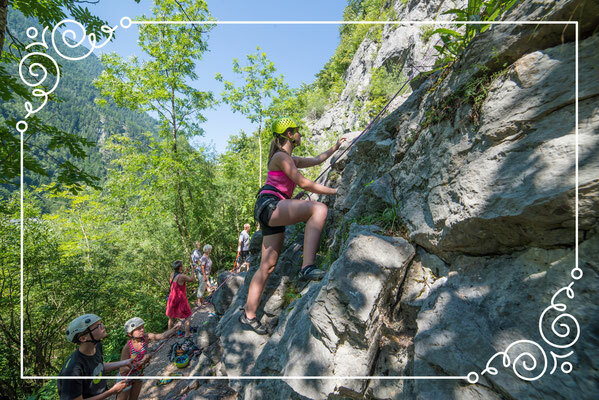 In your summer holiday you will have the opportunity to take part in courses that will teach you the basics of rock-climbing. 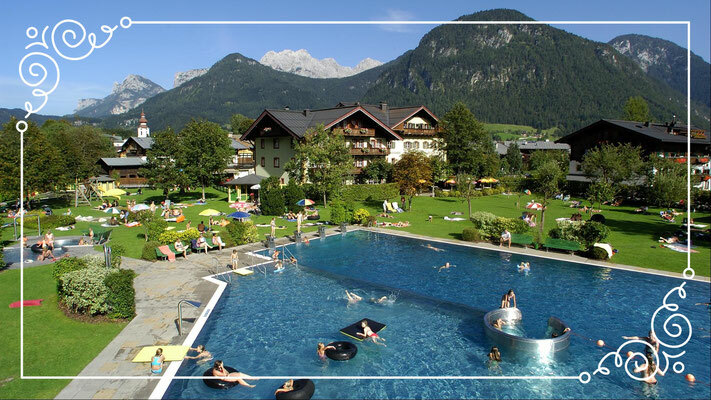 In the hot summer months in Lofer you have a wide range of possibilities when it comes to swimming & bathing. There are indoor and outdoor pools, lakes and quiet rivers and streams to cool down in. On sunny days in the summertime hiking, biking and rock-climbing may not be the right choices and visiting the gorges or the Lamprecht’s cave are refreshing alternatives. The Seisenberg gorge in Weißbach in Lofer is an impressive natural monument which you can walk through on fixed paths within 1 hour. 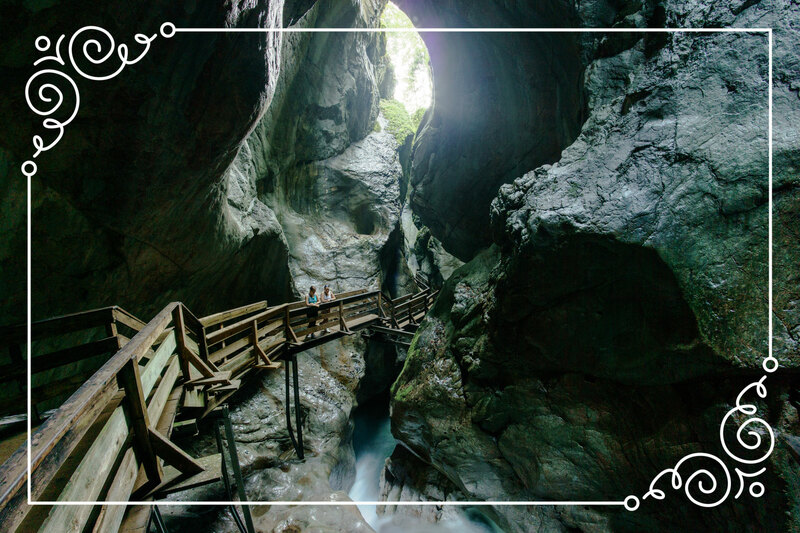 The Vorderkaser gorge in St. Martin in Lofer is worth visiting. 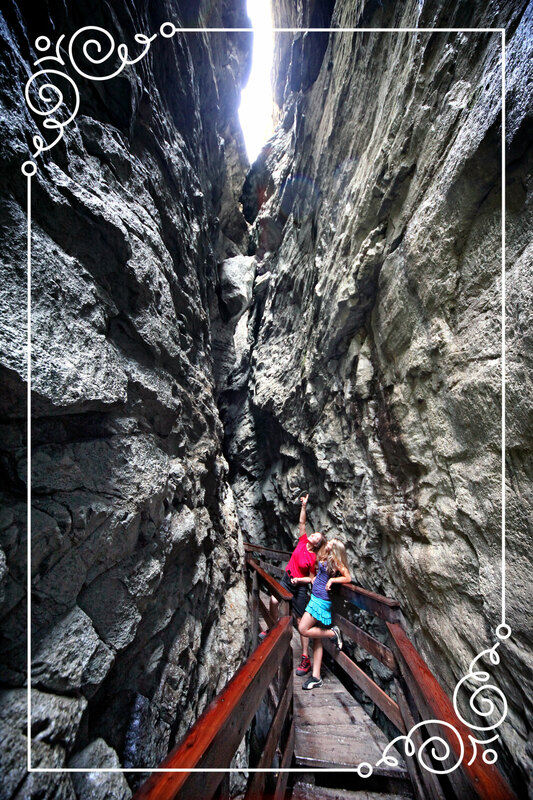 The interesting and beautiful path leads you along 400 meters over 375 steps. On your way to the gorge you will walk past the natural bathing pools and the barbecue area where you can enjoy the lovely summertime in Lofer. With its entire enlargement of 51 km the Lamprecht’s cave is one of the largest cave systems in Europe. Also, it is the longest walk-through cave-system in the world! 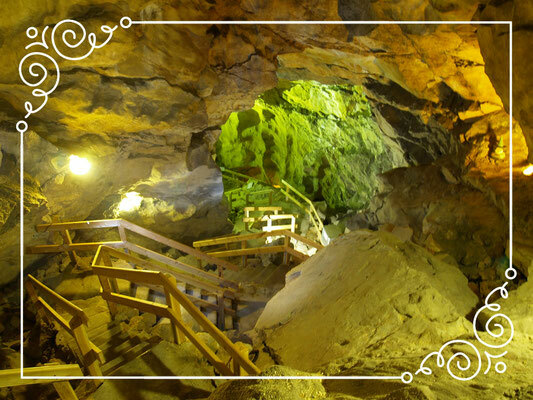 The so called “show-cave” takes you 700 meters deep into the cave and gives a fascinating view of the well-lit cave. Especially on rainy days this is an interesting tour for you and your family.